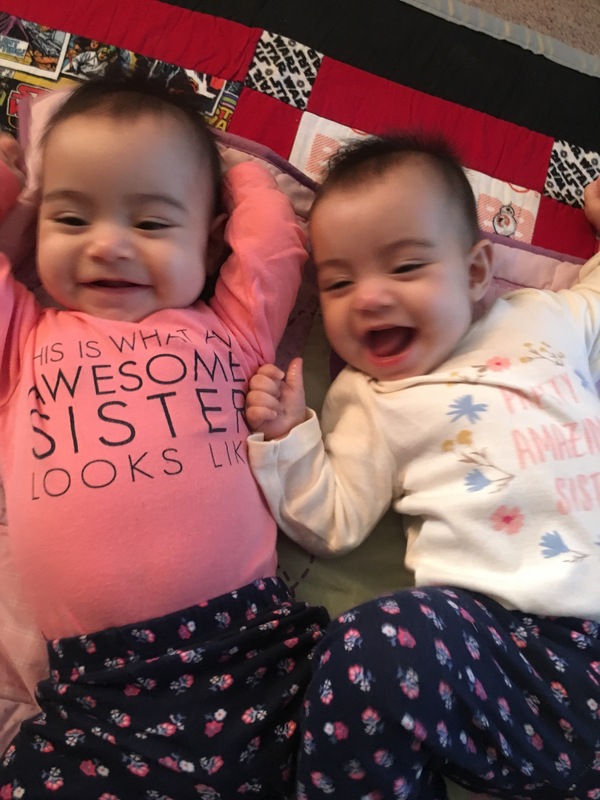 Everyone who meets River and Lydia always says the same thing – “Your babies are so happy!” Yes, they truly are happy babies. Though hunger, boredom, teething, and sleepiness affects their mood, it’s very easy to keep them smiling. 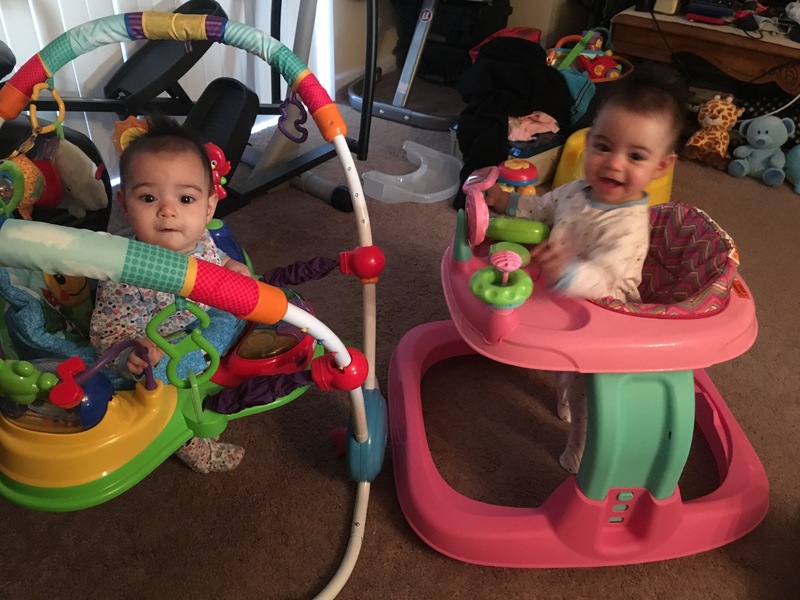 With those cute, toothless smiles in mind, I bought them their first walker last night. 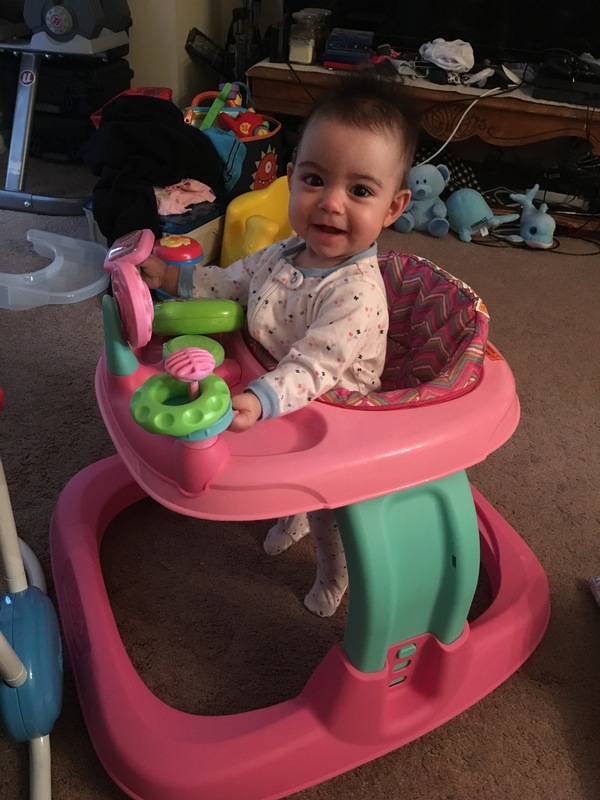 We have one exersaucer, but price and lack of room for another one made us settle for the walker. They seem pretty excited about it, though. Can’t wait for the look on their faces when they realize they can move around with it.